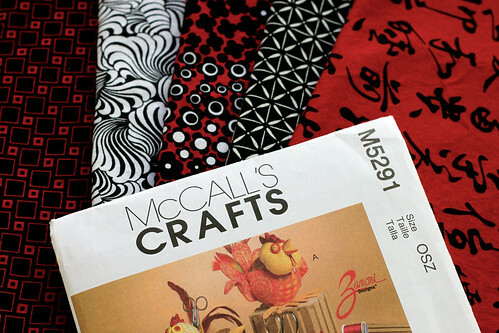 This McCall’s pattern was picked up during one of the many pattern sales at Joann’s. I also picked up these fat quarters at another sale. I am thinking about putting them together. I am also thinking about spending a lot of money on a new sewing machine. Maybe I should stop thinking for awhile. Fabric order: feet, tail, body, head, comb. This entry was posted on Friday, August 14th, 2009 at 3:00 am and is filed under Sewing. Tagged: Sewing. You can feed this entry. You can leave a response, or trackback from your own site.